Engage the curiosity of little ones and stimulate physical activity with this Chad Valley Red Pop Up Play Tunnel. Whether your most cherished is imagining they're crawling through the jungle or engaged in a top-secret mission, kids will have hours of fun with their imagination sparked! 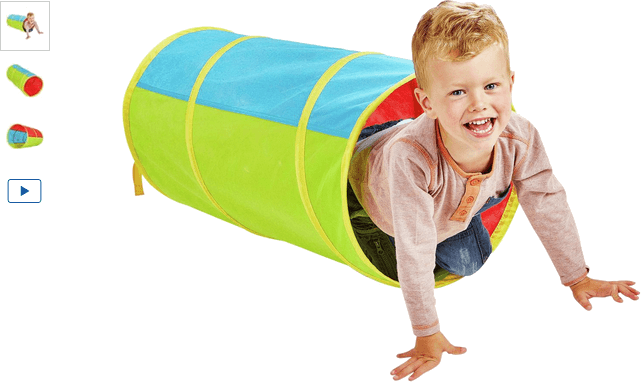 Get money off with April 2019 free Argos voucher codes, see if there's a discount code for the Chad Valley Red Pop Up Play Tunnel product.